There’s a food truck for pretty much everything, it seems. Now add Spam to the list. The 78-year-old meat mashup is hitting the road this weekend on a 12-city cross-country Spamerican Tour that will be led by brand ambassador (and Food Network chef) Sunny Anderson. Over the next two months, the tour will showcase local recipes and chefs who use Spam in places like Los Angeles, Washington, DC, Chicago, Nashville and Philadelphia. Now coming to food trucks: high-end Spam Hormel Foods’ canned pre-cooked pork is looking for a new, higher-brow market. There’s a Spam food truck serving Spam croissants. Here’s where to find it. 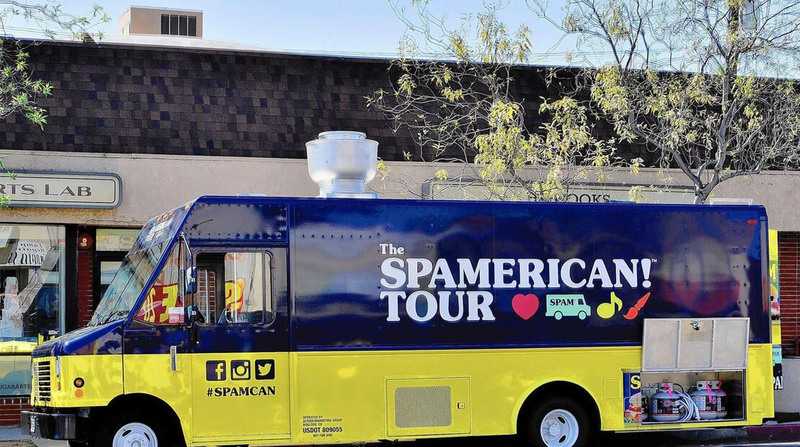 There is a Spam food truck, and it’s coming to Los Angeles.